Ask a question before you start reading the article on; why do I need food? The most frequent answer your mind will come up with meeting the basic need of hunger and so. But, do you know, there are many foods that reduce stress even? Let’s see what are some these foods that reduce stress. There are many studies that have found oranges as food that can reduce stress. For example, in a study in German, the fruits having a large amount of vitamin C have the power to fight again stress and mental disorder. 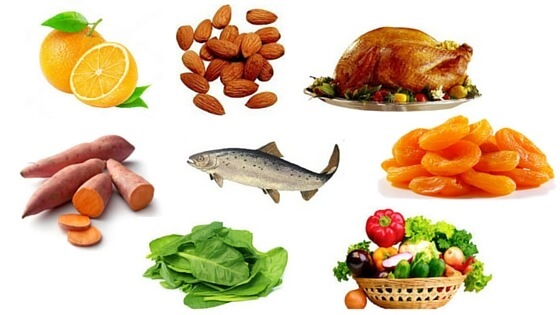 These foods also help your body to get return regular blood pressure and make normal even in a stressful situation. It is also well recognized as a food to keep your immune system normal. We usually eat potato as a vegetable. But, how many people know a great quality of sweet potato that it is helpful to reduce the stress level in your brain? Sweet potatoes contain carbohydrates that is in particular can support to be cool even in a stressful situation. Sweet potatoes also have vitamins and beta-carotene. The fiber of these ingredients drives the carbohydrates to go in slow and well manner that is beneficial in maintaining the regular mood. Turkey is enriched with Amino acid that is called L-tryptophan. When our body is in any stress, this ingredient of turkey sends a signal to our brain that trigger to produce serotonin. Remember that, serotonin is called a natural chemical for brain that keeps it cool and brings relaxation. This is why many people prefer turkey over many other foods to take in while they are tired and feel stressed. Dried apricots are well known as a ‘mild-food-to-take-in’ that in turn has been well known as foods that reduce stress. Dried apricots are also known as a great source of magnesium. The magnesium bears the quality that works as stress-buster and keeps calm ourselves in a stressful situation. Among many foods that reduce stress, almonds, walnuts and pistachios are most common. These are categorized together as they contain the similar food qualities and vitamins. They have vitamin B and E that work better to boost our immune system and keep the blood pressure lower. Thus, you can get reduce stress and keep your body calms in even a stressful situation. A natural and easily got vegetable is spinach. Many people love to find it in their regular dish table because of the taste and vitamin it contains. However, as we already have known that magnesium works better to keep the body calm, spinach is enriched with magnesium. Research has found that 1 cup of spinach can meet 40% of our daily needed magnesium that in turn saves us from being stress. Salmon has omega 3 that triggers us to relieve from stress. There are many studies including Diabetes & Metabolism that has found that omega 3 works to keep cortisol lower that is responsible for increasing stress. So, you can keep this in your regular diets to get the extra benefit from it. There are many green vegetables that keep us free from any stress. Vegetables like kale, broccoli and vegetables reduce stress from our regular daily activities. Stress is common in this daily stressful live. So, you must know the best strategies to get rid of it. Along with the foods described above, here are some tips that will help you out to reduce stress. Breakfast-the beginning of the day must be healthy and energetic, otherwise, your body organs will lose the energy to fight against the work stress. So, you see, a regular but a common seriousness can fight your daily stress. Try to take the foods that reduce stress and give a normal time to live healthy and happier. Strokes: How to Recognize It and What to Do?